What made it so good? A clear creative direction and tone. It's hard to create good spin-off shows, because too often they're a cynical way to keep a readymade audience tuning into something subpar (remember Joey after Friends?). Breaking Bad is one of the greatest television dramas ever produced, too, so the prospects for a prequel focusing on a supporting character was dicey at best. While we loved seeing Bob Odenkirk as slimy lawyer Saul Goodman mixing it with Walter White and Jesse Pinkman (mostly from the confines of his kitsch Albuquerque office), he wasn't the main attraction... he was just a welcome respite from the darkness. Could a show like Better Call Saul be anything other than pointless backstory to a third-tier character? The answer a resounding 'yes', thanks to creators Vince Gilligan and Peter Gould having a very clear vision for this show. It may take place in the same place as Breaking Bad, with some familiar faces and one notable carry-over in Mike Ehrmantraut (Jonathan Banks), but Better Call Saul carved out its own special identity. 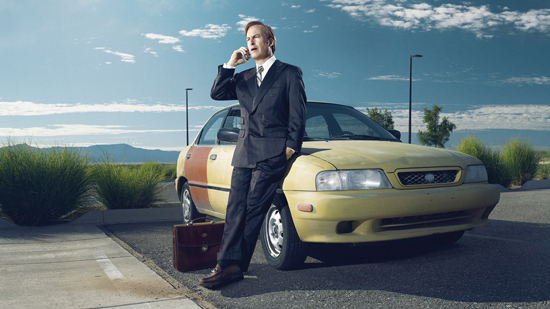 Saul (or Jimmy McGill) gained unexpected nuance (most notably a mentally-fragile brother played by Michael McKean), and the narrative was slightly more comedic without losing some of its parent show's tone and gift for character-based tragedy. I'm not sure if the show is built to last for years, but at the very least I expect a few more excellent seasons to come. The best moment? It's hard to say, but possibly the moment Mike broke down after recounting the awful story behind his son's death in flashback-heavy "Five-O" (although that feels like a cheat, because it was practically a lost Breaking Bad episode). How about the moment Jimmy confronted his two-faced brother over a big-money case they've been working on together, which blew their relationship apart? That was incredible. Watch this if you like: Breaking Bad, of course. I'm counting down my 10 Best Television Shows of 2015 this year, so check back tomorrow to see what's at number 3. The whole list can be read here.